I think that words will get short when we start to describe gulab jamuns. These round sweet balls instantly melt in your mouth giving you the utmost pleasure which no other sweet is capable of. But at the same time these are so sweet that many people avoid having it. Even in my family there are both gulab jamun haters as well as lovers. It has been long since I made anything sinful but I had to bend down to my kiddos demand and made these for her. Earlier I made gulab jamuns on special occasions using the ready to make packets, I had been terrified that gulab jamuns made from scratch may melt while frying or may turn out like meteors but there are some really talented bloggers out there who take cooking to a new dimension by simplifying even most complicated recipes , one such blogger is Sangee of Spicy Treats, she had posted the gulab jamun recipe using milk powder some time back and I was bowled over seeing the ease to make these. But then somehow never got around to make these, then again saw these in Divya's space and bookmarked the recipe. Take milk powder, flour, soda in a bowl. Mix well and add melted ghee. Rub the ghee in the flour to resemble bread crumbs texture. Add milk little by little and knead for couple of minutes to make a smooth and non sticky dough. Cover the dough with a damp cloth and let it sit for 20-30 minutes. In the meanwhile make sugar syrup by mixing sugar and water in a wide bowl and keep for boiling . Let the syrup come to rolling boil and then simmer for 3-4 minutes. Add in the cardamom powder and switch off the gas. Now take the dough and form small marbled sized balls. Take one sugar candy and stuff it in between each ball and make a smooth round ball without crack, but remember not to put much pressure when making the balls. Once all the balls are made keep oil or ghee in a small frying pan for heating. 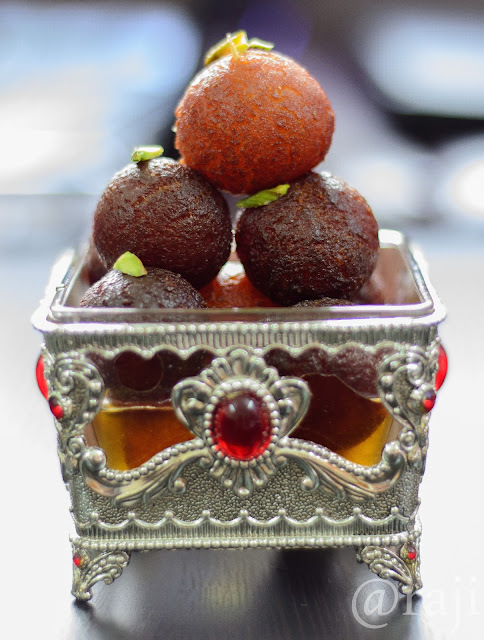 When the oil gets heated up start frying gulab jamuns in small quantities, as they will get little bigger in size while frying. Also fry in low heat to ensure even browning. keep on rotating the balls while they get fried. When the gulab jamuns become dark brown in colour take them off heat and dunk in warm sugar syrup. The jamuns will soak syrup and will become soft and spongy. Serve warm or cold garnished with slivered pistachios. Check the notes at bottom of the post. I halved the quantity of the ingredients and got around 15 gulab jamuns. In the original recipe milk mawa powder was used but I used ordinary milk powder, milk mawa powder will give you even more smoother and richer jamuns. If you do not mind the extra calories fry the jamuns in ghee for richer taste. The sugar candy will melt when the jamuns are fried, thus creating a hollow center. Stuffing the balls with the sugar candy is new to me.. Also deep frying in ghee?? So rich...mmmmmmm..
it is the superb looking jamun.. These look so soft & delicious, golden balls of perfection! !Royally presented..Nice!! mouth watering Raji!!! Want to take a bite of them, off the screen itself. Only tried the gits version so far. Hopefully shall try from - the -scratch version like yours soon. Delicious jamuns, always a favorite..
Love gulab jamuns but afraid to even think of making them knowing one one by one I'll pop it in my mouth :) Love the props and the equally lovely photography ! Yummy and irresistible..love it....beautiful clicks dear..
Hi Raji, All these pictures are looking gorgeous and I am craving to have a bite of the gulabjamuns too:) What a wonderful treat in this chilli time...Wonderful and appetizing dishes at galore. Loved the dhokla too. Have a wonderful week. You need not have explained about the texture of the Jamuns. The second picture explains me clearly. Lovve ittt! The bowl which you've used in the second picture is like... "Jamuns sitting in a diamond studded Throne"
Absolutely eye catching clicks and the jamoon looks so tempting and feel like gobbling some. Lol. Following you and thanks for the comments at my space. I got the gajjar in Dubai itself. Such a gorgeous and super juicy jamuns, seriously loving ur serving bowl,very antique and beautiful. 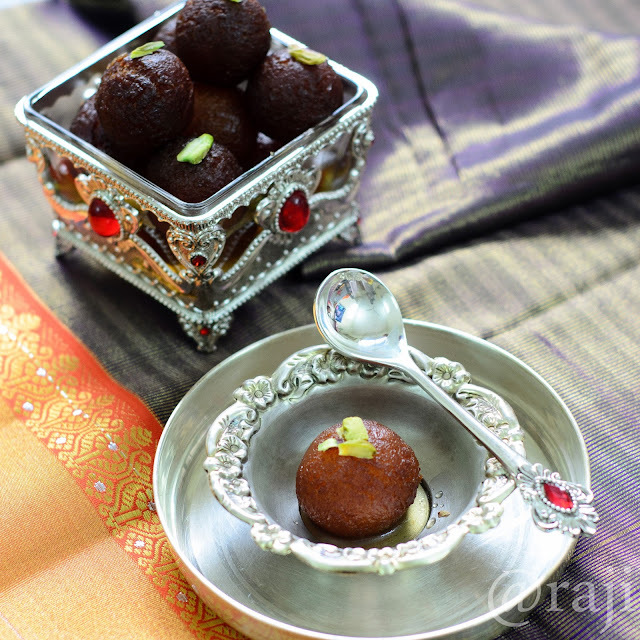 Spongy and lovely Gulab jamuns..beautiful click! Wow...so juicy n tempting Jsmuns Raji! Delectable pics n am in love with ur props :) so cute n beautiful antique set...n so ur pics ...loving each n everything in this post! 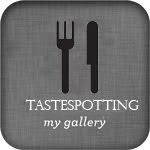 Thanks a ton for referring my recipe link! The recipe and pics look great, will sure try it. The pictures and recipe looks great, will sure try it.